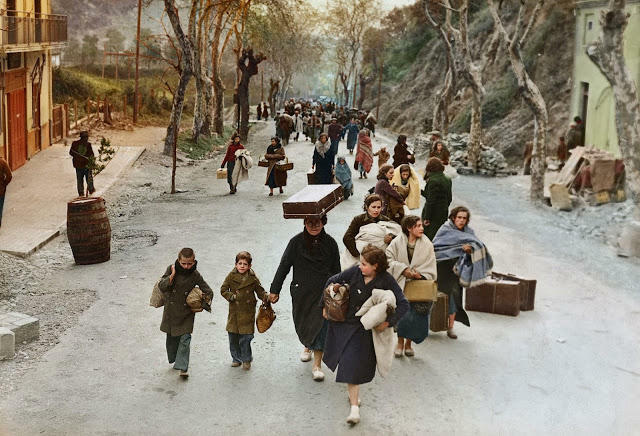 At the height of World War II, the Middle East Relief and Refugee Administration (MERRA) operated camps in Syria, Egypt and Palestine where tens of thousands of people from across Europe sought refuge. 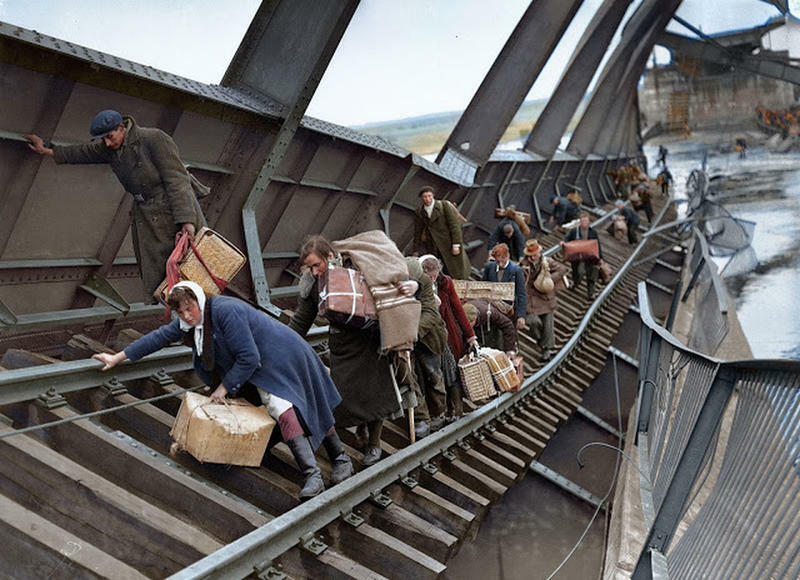 Displaced persons cross a bridge on the River Elbe at Tangermunde, which was blown up by the Germans, to escape the chaos behind German lines caused by the approach of the advancing Russians on May 1, 1945. 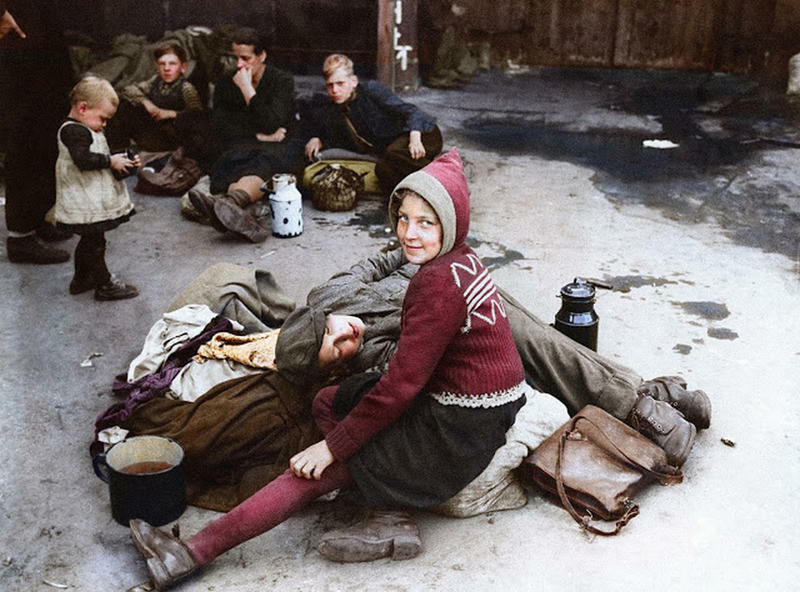 Germans who were uprooted during the war are pictured at the Lehrter Strasse Transient Refugee Camp in Berlin on Sept. 26, 1945. 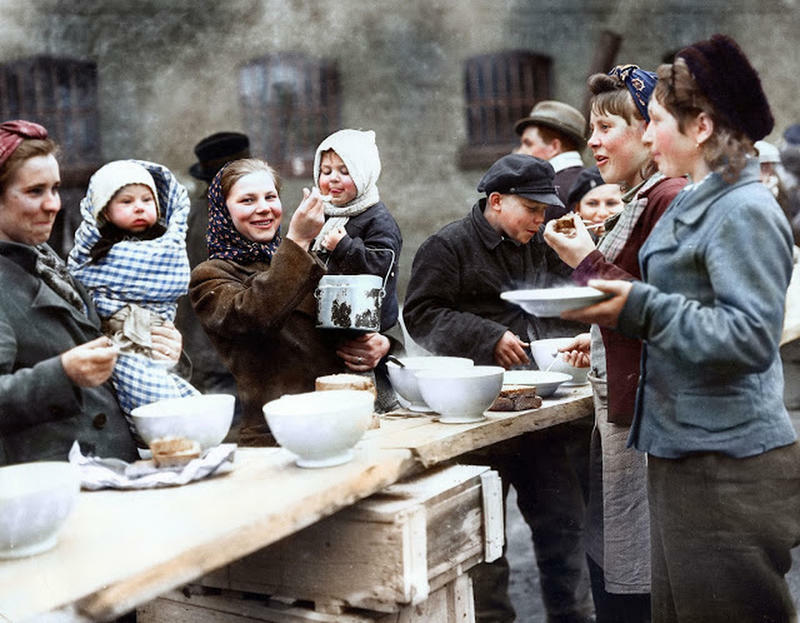 A displaced persons camp in Germany, March, 1945. The only survivors of 150 Polish people who walked from Lodz, Poland to Berlin Huddle in blankets, on December 14, 1945. 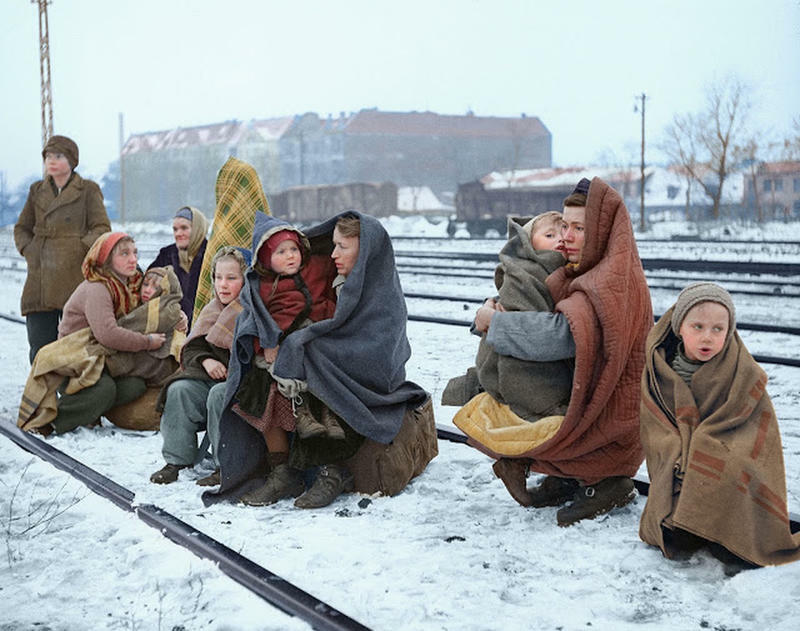 They are waiting by a railway track hoping to be picked up by a British army train and given help. 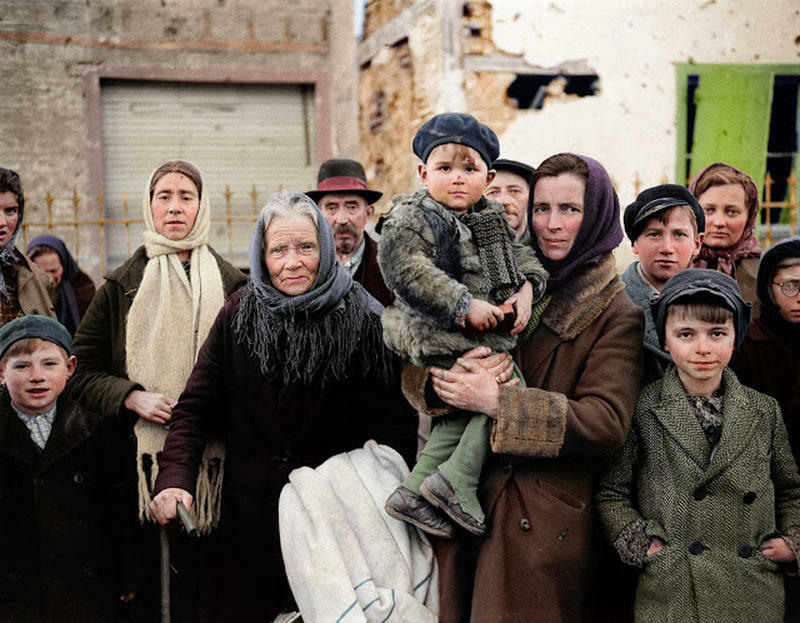 Refugees stand in a group on a street in La Gleize, Belgium on Jan. 2, 1945. 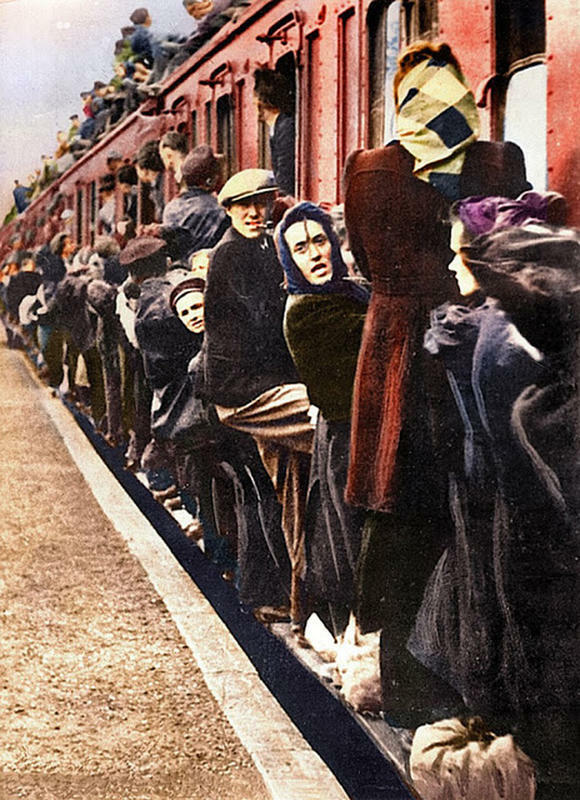 They are waiting to be transported from the war-torn town after its recapture by American forces during the German thrust into the Belgium-Luxembourg salient. 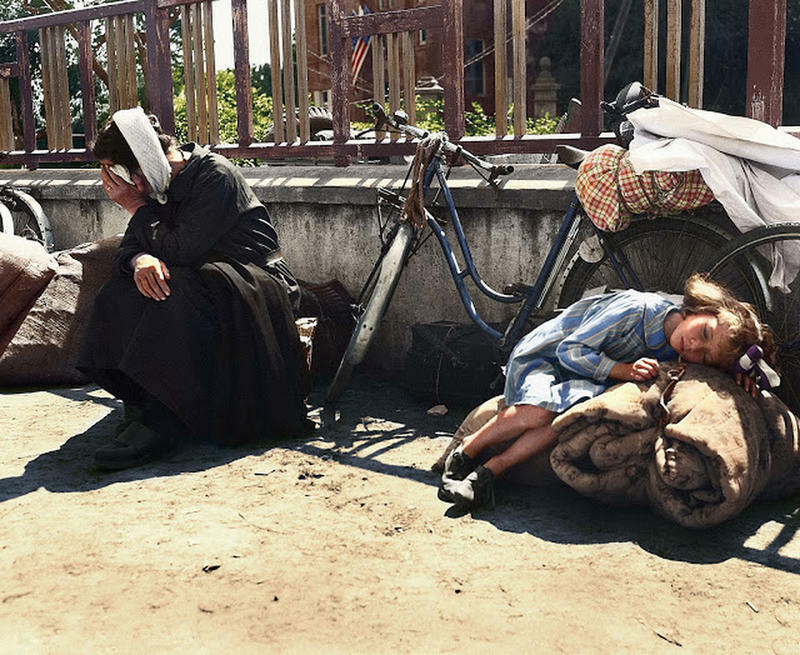 French refugees, returning to their homes in St. Pois, France after the Germans were driven out by the American forces, stop to rest at the side of the road on August 10, 1944. 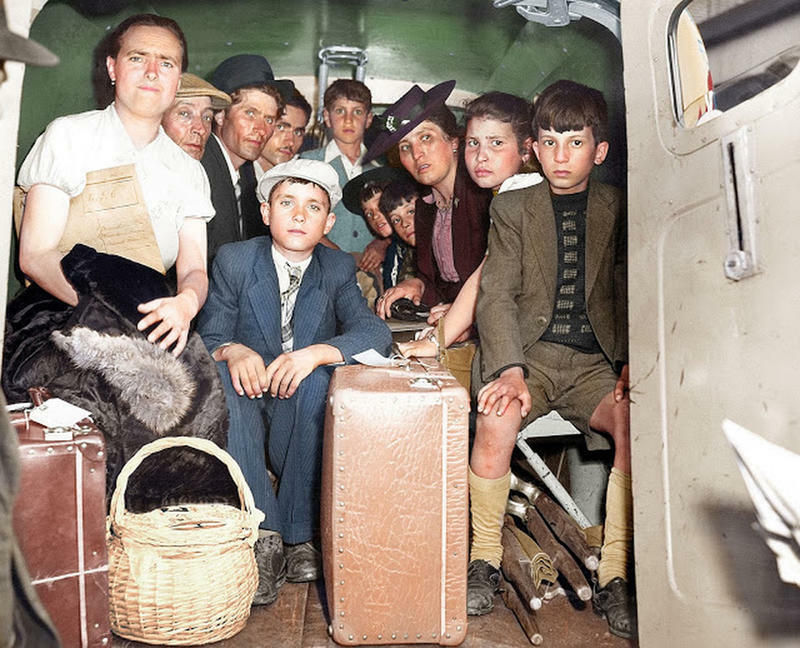 Refugees from the East of the German Reich (German Empire) around 1944-1945. Place and date unknown. 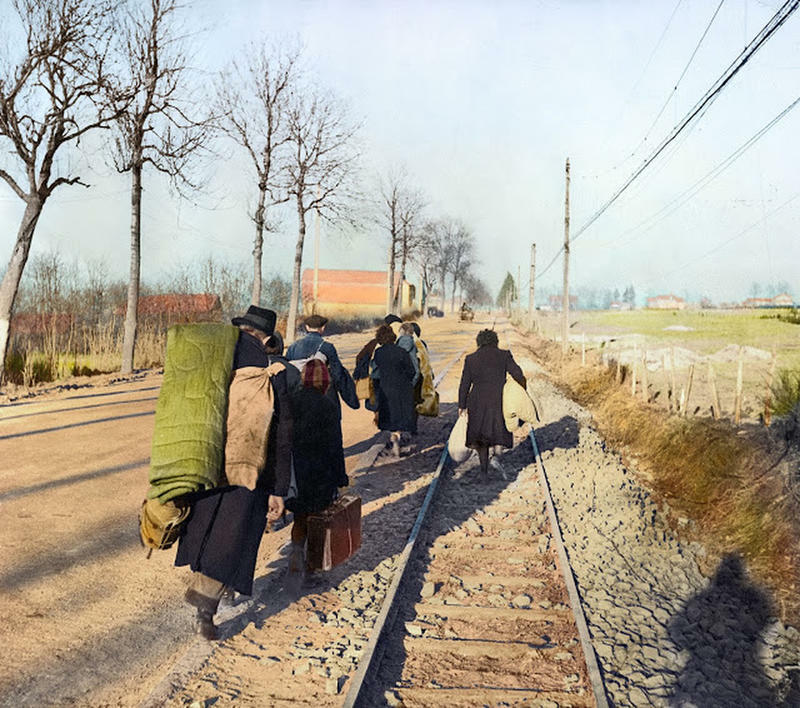 Belgian refugees carry their belongings with them as they flee from the advancing German army in January 1945. 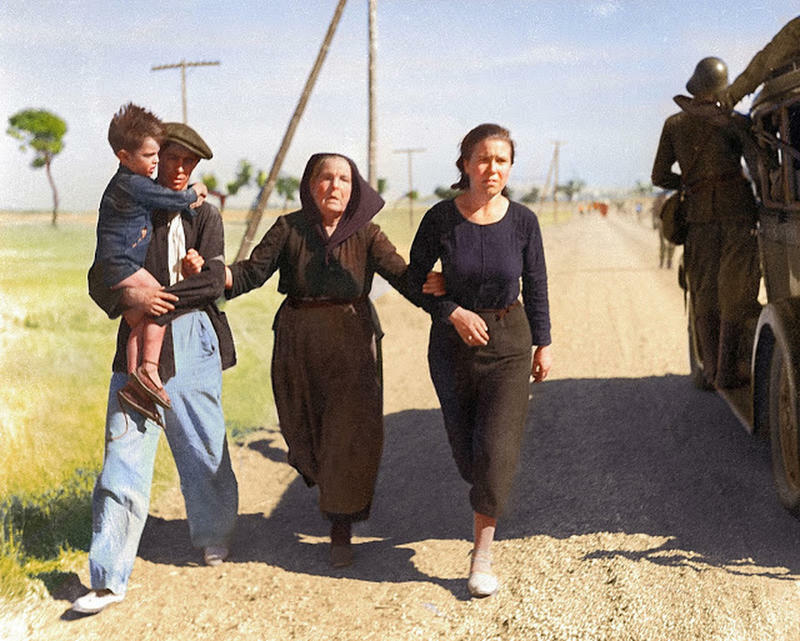 A family of Belgian refugees hold and support each other as they pass a military vehicle while walking the road to France, circa 1940. Behind them are other groups of refugees fleeing occupied Belgium. 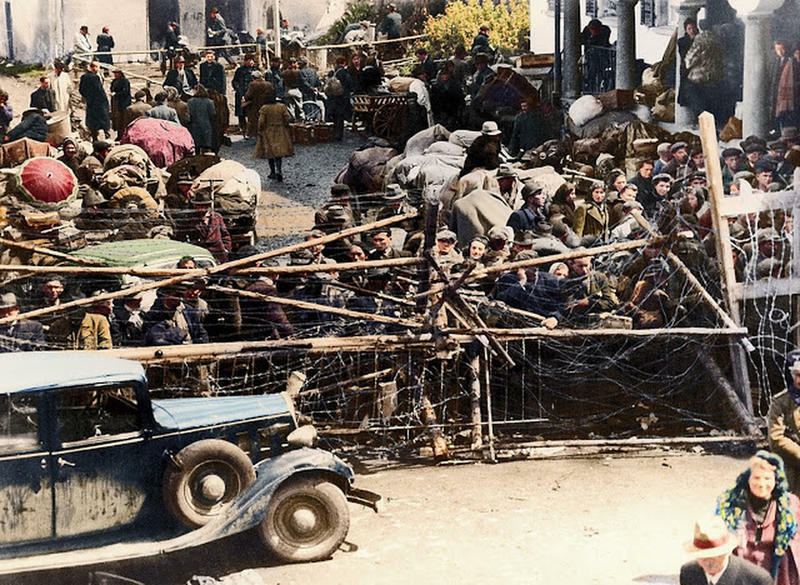 A crowd of refugees stood behind barbed wire on May 18, 1945, while waiting to cross the border into the neutral state of Lichstenstein. A thorough check by the customs office had to be performed for each of these displaced persons. 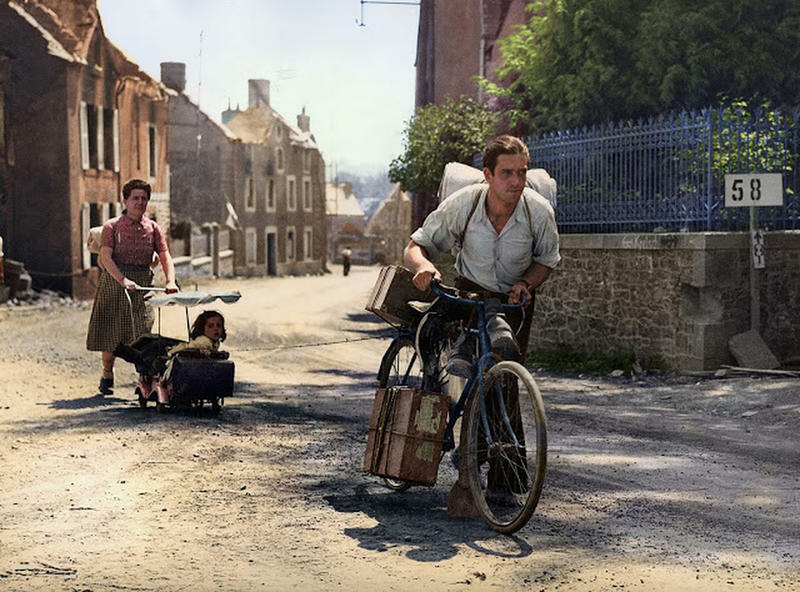 A man pulls a refugee's pram, attached by a cord to his bike, up a hill in Roncey, France on August 7, 1944. Group of passengers from the Portuguese ship Serpa Pinto, which was stopped by a German submarine and ordered abandoned off Bermuda, are shown after their arrival in Philadelphia, May 31, 1944. The U-boat officers abandoned plans to sink the vessel and permitted the passengers to re-board her after receiving wireless orders from Berlin.